One of the most exciting but challenging aspects of running a recurring billing business (SaaS, IoT, Publishing, etc.) is keeping track of sales bookings as they re-occur over time. Monitoring Sales and Posted invoices over an ever-growing customer base can become overwhelming as volumes increase through your company life cycle. The first step in beginning to keep track of recurring sales is to build up a foundation that allows for summary sales data output for various time increments. Providing visibility of sales in daily, monthly, quarterly and annual increments is a powerful initial step in identifying trends and forecasting results. When dealing with combinations of monthly and annual customers it is especially useful to be able to compare months and quarters to their historical equivalents. In this case the company has variable sales outputs and fluctuating average sales invoice amounts compounded by a variable customer base paying in both monthly and annual installments. Fluctuation in Average Sales Amounts by month make it difficult to establish a clear trend in sales performance. The same data visualized in Quarterly intervals reveals a more consistent pattern of sales activity. Comparison of historical Quarters now becomes possible. In this case we clearly see continued strong Q1 performance and significant Q4 growth. Increasing the interval of display allows for a better monitoring of sales targets. Presenting the data in Annual intervals reduces noise even further and shows a clear and steady increase in average sales amounts year over year. Making sure that your subscription billing system provides you with the ability to display data in different intervals and tracks average sales accurately is a critical element to insure that you are in a position to monitor and track your recurring billing. Let’s say a SaaS company decided to lower their prices from $1000 per product to $120. They then noticed that their average sale dropped from $700 per invoice to $300 per invoice. However, the sales reporting data from their recurring billing platform also shows that there in an increase in sales volume. The are thus able to see that their pricing strategy of lowering prices has worked out for them. Quick access to this kind of visual data representation can provide justification for important sales and marketing decisions. Your teams can establish future sales or budgeting targets that are realistic – or focus future activities on increasing average sales, or volume of sales. Without access to a robust visual sales reporting tool you just don’t know. 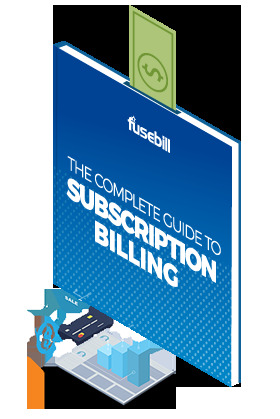 Fusebill provides you the tools you need to make smart business decisions and take your recurring billing business to the next level. Contact us today to speak to one of our billing specialists. Serge Frigon is Fusebill's product architect. He is passionate about improving billing processes for SaaS companies. With 20+ years in SaaS and billing software systems, Serge has a first-hand view of how important financial insights can be to the health of a company.